Now that more and more people are searching for local content while on the move using their smartphones, achieving prominence in local listings is more important than ever. Imagine that you are a based in Melbourne and you want small businesses in the area to be able to locate your services. It is important that as well as having an optimised web presence, that your Google My Business listings will sit somewhere at the top of the search results page. As the foundation for the SEO process, before any Search Engine Optimisation work starts, plan with intelligent keyword research. Sub-optimal keywords will result in a fraction of the website traffic achievable with quality keyword research, for the same amount of effort. 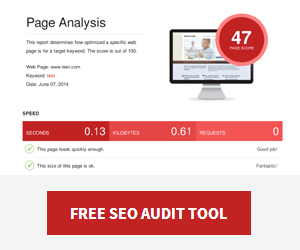 This needs to be optimised to maximize the return on investment for your website or Google places SEO. Now that Google has done away with Places pages and moved to Google My Business, there is actually less opportunity for customisation – and this means that you have to get every part of the profile right in order to reap rewards from Google. So, how to optimise your Google My Business listings? The Google+ share bar within the dashboard of Google My Business allows you to share text updates, links, images, videos and more – so make the most of this platform. We all know that Google loves original content that is shared regularly so use this platform for exactly that. The rewards you see from Google will be well worth the effort. Include your full business address. Your location in relation to the centre of the city or region is important, but if your places page and website rank well for your suburb you’ll show up for adjacent suburbs as well. Once your address is updated, you will not only appear in local search results but also search results within Google Maps. Without a website, it is difficult to rank well or at all depending on the competition. Your website ranking affects your My Business page ranking. It’s important that your My Business page information is consistent with your website to make the most of the link and encourage user friendliness. Within the Google My Business dashboard, you can add categories that your business operates in. Crucially, Google has specified that this should be what your business is rather than what it does, so think ‘Carpenter’ instead of ‘Carpentry’. Updating these listings and playing by the rules will help people to find your business. Encouraging as many customers as possible to leave reviews is an important part of a local SEO strategy. This provides both Google and prospective customers with confidence in the service you provide. Very simply, businesses with more reviews do better in Google My Business. And it’s not just reviews that count, but ensuring that those reviews come from the local places you are trying to target. If you want to boost your Google My Business SEO for 4 boroughs of Melbourne, make sure that you are encouraging reviews from all 4 of those boroughs. 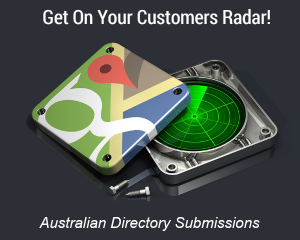 Need help with local search results? Our SEO Packages include an optimized Google My Business listing, on-site local SEO strategies and more – all to ensure that local customers can find your business.